Left to right: Revs. Berwyn, Mugo, Olwen, Roland. 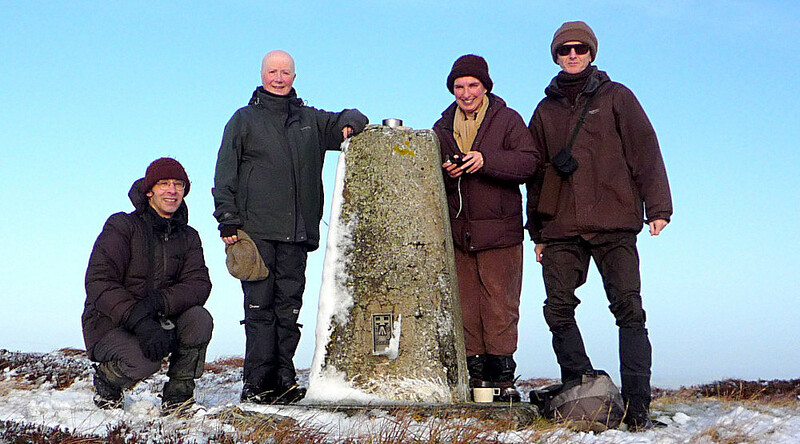 What a jolly bunch this morning as we pitched ourselves up the hill and onto the moors above Throssel. The wind behind us, the sunshine above and blue sky all around. 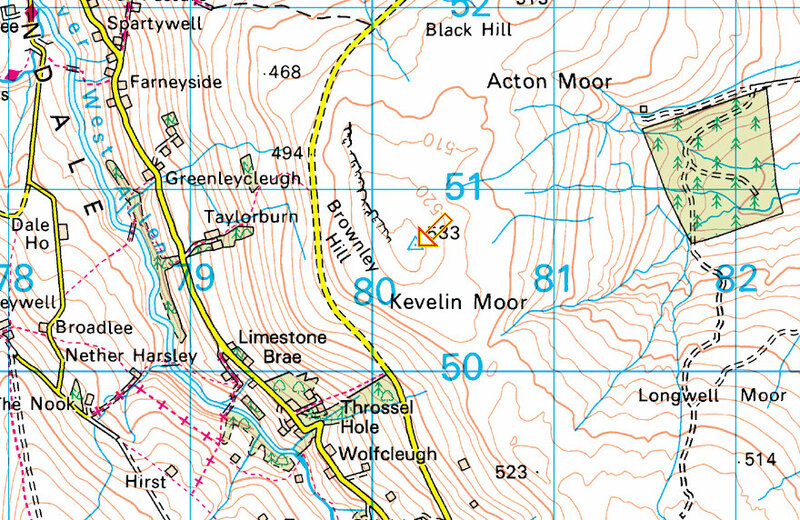 The Trigpoint is a favoured destination for a more serious walk, boots and windproof clothing essential. For me it has been a rare treat of a day in every way with companionable times aplenty. I hope that’s been the case for you. Yes, Buddhist can enjoy Christmas Day too. It’s the time of year anybody of any faith, or non, to light up the darkness. Best wishes to you and your companions there, Rev. Mugo. Thanks Julius. We look a happy bunch don’t we.